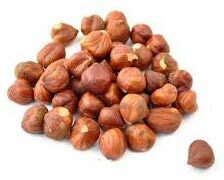 Hazelnuts are used in making chocolates, pastries, cakes and other edibles. We hold expertise in exporting and supplying premium Dried Hazelnuts that are sourced from the reliable producers. Dry Roasted Hazelnuts sare properly checked for any impurity by our experts. These nuts are sweet in taste. Hazelnut Kernels are hygienically packed in optimum quality packaging material to ensure long shelf life. We make available Hazelnuts throughout the year at the best market prices.